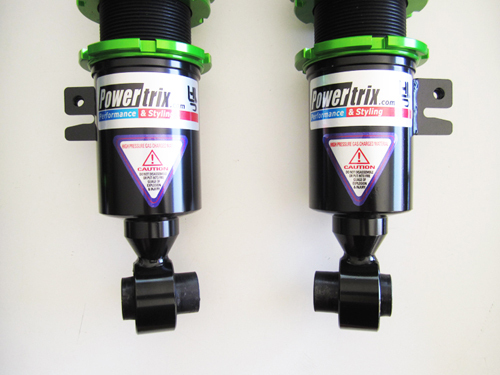 POWERTRIX has partnered with SWIFT Springs to offer the very best in suspension spring technology. 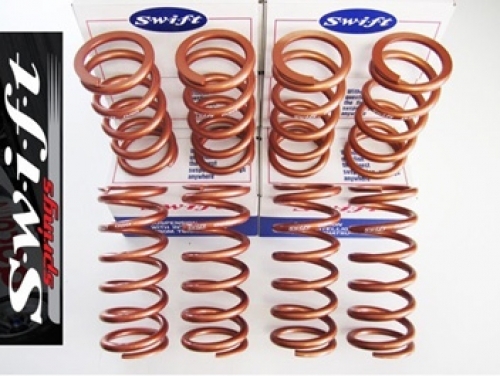 SWIFT spring composition is manufactured using their own proprietary steel alloy "HS5.TW". This material was formulated in order to maintain the 4 major performance factors listed below, as well as achieving the fastest reaction speed possible to get compliance on road surface conditions. “SWIFT springs are created with proprietary winding methods, as well as some other trade secrets focused on ensuring the their product separates them from the standard market." 2. The largest amount of stroke to maximize suspension motion. 3. The highest durability against loss of spring height = excellent material memory prevents springs sag over. 4. 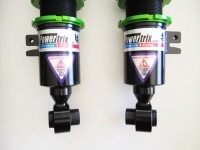 Extremely light weight to reduce sprung weight increasing over all agility.